More Firsts! And a Second. First peanut-butter-ectomy: Theresa made complaining noises and poked her finger in her mouth. We thought she had bitten her tongue, but eventually I made her open so I could look, and she had a very large wad of chewed peanut butter sandwich stuck to the roof of her mouth. Mama to the rescue. 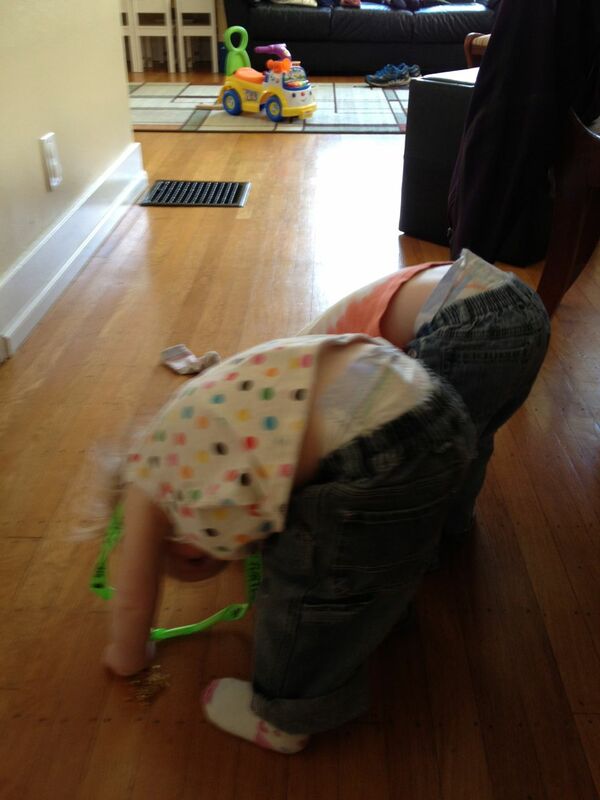 The next time this happened, she just said, “Help,” and opened her mouth for me. 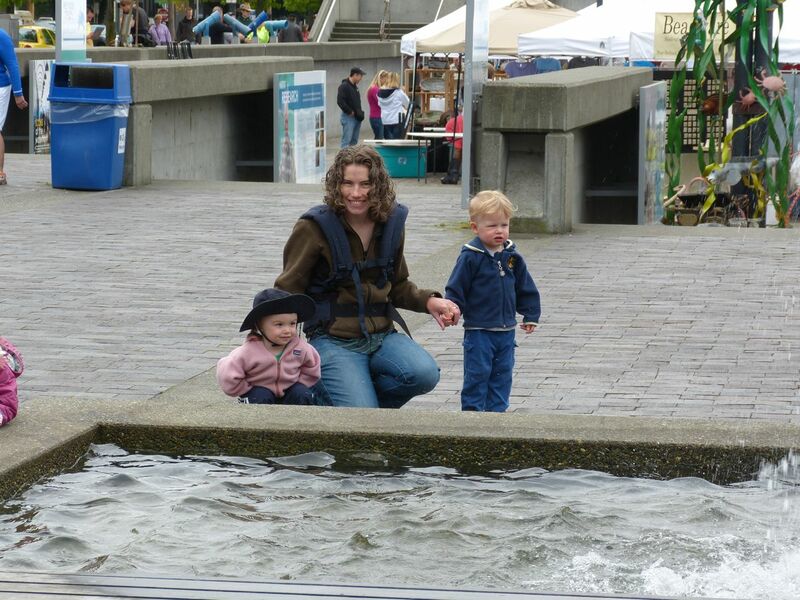 We saw a fast orange boat, lots of water, some ferries, and all of downtown Seattle. The kids loved it. They still talk about it. This was stressful due to the four attempted abductions recently. But we were extra vigilant, and it was fine. Jamie holds on to the rail and uses his mattress like a trampoline. Or does laps in his crib before (we assume literally) falling over asleep at night. We can only assume, since we don’t have a video monitor. TK gets this one from the vine rather than chewing on it still attached to the plant. 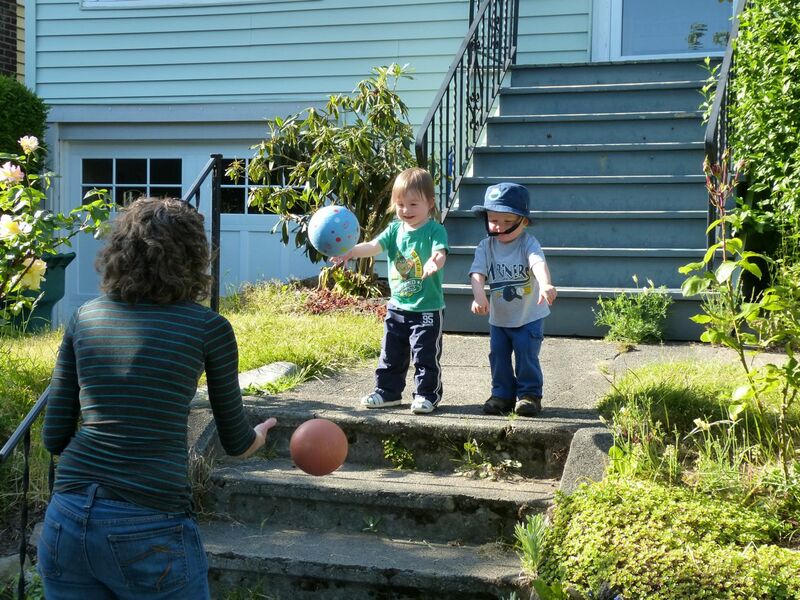 I was tossing balls to Jamie and Audrey as they stood at the top of the stairs (not my brightest or safest invented game), and Audrey actually caught the ball a few times. She knows how to hold her arms out to cradle the ball. Now she just needs to teach her siblings and they can all play catch with each other while I sip wine and read my book. “It’s a Kermit cake!” said Theresa. Jamie ate 1.5 pieces of cake and asked for more. Audrey wanted “plain cake” (no frosting). ← Regulate your emotional reactions. And eat ice cream.